PLATINUM BRA, WINDOW TINT NAV, Sunroof, Heated Leather Seats, Alloy Wheels, Back-Up Camera, Power Liftgate, Panoramic Roof, All Wheel Drive, EBONY/LIGHT OYSTER STITCH, GRAINED LEATHER SEAT TRIM, WHEELS: 20 6 SPOKE (STYLE 6007), FRONT FOG LIGHTS, POLARIS WHITE, COLD CLIMATE PACK, DRIVER ASSIST PACK, CAR CARE PACK. Polaris White exterior and Ebony/Light Oyster Stitch interior, SE trim. SEE MORE! KEY FEATURES INCLUDE Navigation, Sunroof, Panoramic Roof, All Wheel Drive, Power Liftgate, Back-Up Camera, iPod/MP3 Input, Onboard Communications System, Keyless Start, Dual Zone A/C, Cross-Traffic Alert, Smart Device Integration, WiFi Hotspot, Blind Spot Monitor, Brake Actuated Limited Slip Differential Rear Spoiler, MP3 Player, Remote Trunk Release, Keyless Entry, Privacy Glass. OPTION PACKAGES DRIVER ASSIST PACK: Adaptive Cruise Control w/Steering Assist, 360 Surround Camera, COLD CLIMATE PACK: Heated Steering Wheel, Heated Windshield, Heated Washer Jets, HEATED FRONT SPORT SEATS (300BT), RADIO: MERIDIAN 825W SURROUND SOUND SYSTEM: 14 speakers, subwoofer, Bluetooth connectivity, AM/FM radio, SiriusXM satellite radio and HD Radio, WHEEL PROTECTION PACK CHROME LOCKS, BASIC REAR SEAT CONVENIENCE PACK, CAR CARE PACK, PREMIUM INTERIOR PROTECTION PACK, WHEELS: 20 6 SPOKE (STYLE 6007): (STD), EBONY/LIGHT OYSTER STITCH, GRAINED LEATHER SEAT TRIM. 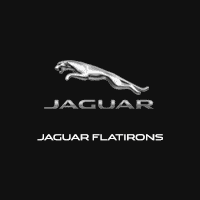 Jaguar SE with Polaris White exterior and Ebony/Light Oyster Stitch interior features a Electric Motor with 394 HP at 4250 RPM*. . OUR OFFERINGS Land Rover Flatirons is different. We have assembled a team whose goal is to deliver the best ownership experience possible to everyone that chooses to own a Land Rover or Range Rover. Our pre-owned cars are reconditioned to a level unequalled in the market. Horsepower calculations based on trim engine configuration. Please confirm the accuracy of the included equipment by calling us prior to purchase. PLATINUM BRA, WINDOW TINT NAV, Sunroof, Heated Leather Seats, Alloy Wheels, Back-Up Camera, Power Liftgate, Panoramic Roof, All Wheel Drive, EBONY/LIGHT OYSTER STITCH, GRAINED LEATHER SEAT TRIM, WHEELS: 20 6 SPOKE (STYLE 6007), FRONT FOG LIGHTS, CORRIS GREY, COLD CLIMATE PACK, DRIVER ASSIST PACK, CAR CARE PACK. Corris Grey exterior and Ebony/Light Oyster Stitch interior, SE trim. AND MORE! KEY FEATURES INCLUDE Navigation, Sunroof, Panoramic Roof, All Wheel Drive, Power Liftgate, Back-Up Camera, iPod/MP3 Input, Onboard Communications System, Keyless Start, Dual Zone A/C, Cross-Traffic Alert, Smart Device Integration, WiFi Hotspot, Blind Spot Monitor, Brake Actuated Limited Slip Differential Rear Spoiler, MP3 Player, Remote Trunk Release, Keyless Entry, Privacy Glass. OPTION PACKAGES DRIVER ASSIST PACK: Adaptive Cruise Control w/Steering Assist, 360 Surround Camera, COLD CLIMATE PACK: Heated Steering Wheel, Heated Windshield, Heated Washer Jets, HEATED FRONT SPORT SEATS (300BT), RADIO: MERIDIAN 825W SURROUND SOUND SYSTEM: 14 speakers, subwoofer, Bluetooth connectivity, AM/FM radio, SiriusXM satellite radio and HD Radio, WHEEL PROTECTION PACK CHROME LOCKS, CAR CARE PACK, BASIC REAR SEAT CONVENIENCE PACK, WHEELS: 20 6 SPOKE (STYLE 6007): (STD), EBONY/LIGHT OYSTER STITCH, GRAINED LEATHER SEAT TRIM, PREMIUM INTERIOR PROTECTION PACK. Jaguar SE with Corris Grey exterior and Ebony/Light Oyster Stitch interior features a Electric Motor with 394 HP at 4250 RPM*. . Horsepower calculations based on trim engine configuration. Please confirm the accuracy of the included equipment by calling us prior to purchase. PLATINUM BRA, WINDOW TINT Heated Leather Seats, Moonroof, Nav System, Back-Up Camera, Power Liftgate, Panoramic Roof, Premium Sound System, COLD CLIMATE PACK , ADAPTIVE DYNAMICS , WHEELS: 20 5 SPOKE GLOSS BLACK (STYL. All Wheel Drive, EBONY MORZINE HEADLINING, NARVIK BLACK, ADAPTIVE SURFACE RESPONSE (ADSR). Narvik Black exterior and Ebony/Light Oyster Stitch interior, HSE trim. CLICK ME! KEY FEATURES INCLUDE Navigation, Sunroof, Panoramic Roof, All Wheel Drive, Power Liftgate, Back-Up Camera, Premium Sound System, Satellite Radio, iPod/MP3 Input, Onboard Communications System, Keyless Start, Dual Zone A/C, Lane Keeping Assist, WiFi Hotspot, Smart Device Integration Rear Spoiler, MP3 Player, Privacy Glass, Remote Trunk Release, Keyless Entry. OPTION PACKAGES HEAD-UP DISPLAY, ADAPTIVE DYNAMICS: dynamic mode and Configurable Dynamics, COLD CLIMATE PACK: Heated Steering Wheel, Heated Windshield, Heated Washer Jets, WHEELS: 20 5 SPOKE GLOSS BLACK (STYLE 5068), GLOSS CHARCOAL ASH WOOD VENEER, CONFIGURABLE AMBIENT INTERIOR LIGHTING: 10 color selection, ADAPTIVE SURFACE RESPONSE (ADSR), EBONY/LIGHT OYSTER STITCH, WINDSOR LEATHER SEAT TRIM, 18-WAY HEATED & COOLED SPORT SEATS: electric memory front seats w/heated rear seats, electric fore and aft, electric cushion height, electric recline, electric lumbar, electric cushion tilt, electric cushion extension, electric adjustable bolsters and manual headrest (STD) Jaguar HSE with Narvik Black exterior and Ebony/Light Oyster Stitch interior features a Electric Motor with 394 HP at 4250 RPM*. . Horsepower calculations based on trim engine configuration. Please confirm the accuracy of the included equipment by calling us prior to purchase. PLATINUM BRA, WINDOW TINT Moonroof, Heated Leather Seats, Nav System, All Wheel Drive, EBONY/LIGHT OYSTER STITCH, WINDSOR LEATHER SEAT TRIM, Back-Up Camera, Premium Sound System, Panoramic Roof, Power Liftgate, BASIC REAR SEAT CONVENIENCE PACK , ADAPTIVE DYNAMICS , WHEELS: 20 5 SPLIT-SPOKE (STYLE 5070. HEAD-UP DISPLAY. Polaris White exterior and Ebony/Light Oyster Stitch interior, HSE trim. CLICK ME! KEY FEATURES INCLUDE Navigation, Sunroof, Panoramic Roof, All Wheel Drive, Power Liftgate, Back-Up Camera, Premium Sound System, Satellite Radio, iPod/MP3 Input, Onboard Communications System, Keyless Start, Lane Keeping Assist, Hands-Free Liftgate, Blind Spot Monitor, Brake Actuated Limited Slip Differential. Rear Spoiler, MP3 Player, Remote Trunk Release, Keyless Entry, Privacy Glass. OPTION PACKAGES HEAD-UP DISPLAY, 4-ZONE CLIMATE CONTROL, ADAPTIVE DYNAMICS: dynamic mode and Configurable Dynamics, COLD CLIMATE PACK: Heated Steering Wheel, Heated Windshield, Heated Washer Jets, WHEELS: 20 5 SPLIT-SPOKE (STYLE 5070): Technical grey w/polished finish, FRONT FOG LIGHTS, CABIN AIR IONIZATION, WHEEL PROTECTION PACK CHROME LOCKS, CAR CARE PACK, BASIC REAR SEAT CONVENIENCE PACK, PREMIUM INTERIOR PROTECTION PACK, POLARIS WHITE, 18-WAY HEATED & COOLED SPORT SEATS: electric memory front seats w/heated rear seats, electric fore and aft, electric cushion height, electric recline, electric lumbar, electric cushion tilt, electric cushion extension, electric adjustable bolsters and manual headrest (STD), EBONY/LIGHT OYSTER STITCH, WINDSOR LEATHER SEAT TRIM. Jaguar HSE with Polaris White exterior and Ebony/Light Oyster Stitch interior features a Electric Motor with 394 HP at 4250 RPM*. . Horsepower calculations based on trim engine configuration. Please confirm the accuracy of the included equipment by calling us prior to purchase. PLATINUM BRA, WINDOW TINT Heated Leather Seats, NAV, Sunroof, BASIC REAR SEAT CONVENIENCE PACK , EBONY/LIGHT OYSTER STITCH, WINDSOR LEATHER SEAT TRIM, All Wheel Drive, Back-Up Camera, Premium Sound System, Panoramic Roof, Power Liftgate, WHEELS: 20 5 SPOKE GLOSS BLACK (STYL. BLACK EXTERIOR PACK, HEAD-UP DISPLAY. HSE trim, Polaris White exterior and Ebony/Light Oyster Stitch interior. READ MORE! KEY FEATURES INCLUDE Navigation, Sunroof, Panoramic Roof, All Wheel Drive, Power Liftgate, Back-Up Camera, Premium Sound System, Satellite Radio, iPod/MP3 Input, Onboard Communications System, Keyless Start, Lane Keeping Assist, Hands-Free Liftgate, Blind Spot Monitor, Brake Actuated Limited Slip Differential. Rear Spoiler, MP3 Player, Remote Trunk Release, Keyless Entry, Privacy Glass. OPTION PACKAGES HEAD-UP DISPLAY, 4-ZONE CLIMATE CONTROL, ADAPTIVE DYNAMICS: dynamic mode and Configurable Dynamics, COLD CLIMATE PACK: Heated Steering Wheel, Heated Windshield, Heated Washer Jets, WHEELS: 20 5 SPOKE GLOSS BLACK (STYLE 5068), BLACK EXTERIOR PACK: Gloss Black Side Window Surround, Gloss Black Grille w/Gloss Black Surround, FRONT FOG LIGHTS, CABIN AIR IONIZATION, WHEEL PROTECTION PACK CHROME LOCKS, CAR CARE PACK, BASIC REAR SEAT CONVENIENCE PACK, PREMIUM INTERIOR PROTECTION PACK, POLARIS WHITE, 18-WAY HEATED & COOLED SPORT SEATS: electric memory front seats w/heated rear seats, electric fore and aft, electric cushion height, electric recline, electric lumbar, electric cushion tilt, electric cushion extension, electric adjustable bolsters and manual headrest (STD), EBONY/LIGHT OYSTER STITCH, WINDSOR LEATHER SEAT TRIM. Jaguar HSE with Polaris White exterior and Ebony/Light Oyster Stitch interior features a Electric Motor with 394 HP at 4250 RPM*. . Horsepower calculations based on trim engine configuration. Please confirm the accuracy of the included equipment by calling us prior to purchase. PLATINUM BRA, WINDOW TINT Heated Leather Seats, Sunroof, Navigation, All Wheel Drive, EBONY/LIGHT OYSTER STITCH, WINDSOR LEATHER SEAT TRIM, Back-Up Camera, Premium Sound System, Panoramic Roof, Power Liftgate, BASIC REAR SEAT CONVENIENCE PACK , ADAPTIVE DYNAMICS , WHEELS: 20 5 SPLIT-SPOKE (STYLE 5070. HSE trim, Ultimate Black Metallic exterior and Ebony/Light Oyster Stitch interior. AND MORE! KEY FEATURES INCLUDE Navigation, Sunroof, Panoramic Roof, All Wheel Drive, Power Liftgate, Back-Up Camera, Premium Sound System, Satellite Radio, iPod/MP3 Input, Onboard Communications System, Keyless Start, Lane Keeping Assist, Hands-Free Liftgate, Blind Spot Monitor, Brake Actuated Limited Slip Differential. Rear Spoiler, MP3 Player, Remote Trunk Release, Keyless Entry, Privacy Glass. OPTION PACKAGES HEAD-UP DISPLAY, 4-ZONE CLIMATE CONTROL, ADAPTIVE DYNAMICS: dynamic mode and Configurable Dynamics, ULTIMATE BLACK METALLIC, COLD CLIMATE PACK: Heated Steering Wheel, Heated Windshield, Heated Washer Jets, WHEELS: 20 5 SPLIT-SPOKE (STYLE 5070): Technical grey w/polished finish, FRONT FOG LIGHTS, CABIN AIR IONIZATION, WHEEL PROTECTION PACK CHROME LOCKS, CAR CARE PACK, BASIC REAR SEAT CONVENIENCE PACK, 18-WAY HEATED & COOLED SPORT SEATS: electric memory front seats w/heated rear seats, electric fore and aft, electric cushion height, electric recline, electric lumbar, electric cushion tilt, electric cushion extension, electric adjustable bolsters and manual headrest (STD), EBONY/LIGHT OYSTER STITCH, WINDSOR LEATHER SEAT TRIM BUY FROM AN AWARD WINNING DEALER Land Rover Flatirons is different. We have assembled a team whose goal is to deliver the best ownership experience possible to everyone that chooses to own a Land Rover or Range Rover. Our pre-owned cars are reconditioned to a level unequalled in the market. Horsepower calculations based on trim engine configuration. Please confirm the accuracy of the included equipment by calling us prior to purchase. PLATINUM BRA, WINDOW TINT Sunroof, NAV, Heated Leather Seats, PREMIUM INTERIOR PROTECTION PACK, EBONY/LIGHT OYSTER STITCH, WINDSOR LEATHER SEAT TRIM, WHEEL PROTECTION PACK CHROME LOCKS, CAR CARE PACK, Power Liftgate, Back-Up Camera, Panoramic Roof, Alloy Wheels, All Wheel Drive, HEAD-UP DISPLAY. Silicon Silver Premium Metallic exterior and Ebony/Light Oyster Stitch interior, HSE trim READ MORE! KEY FEATURES INCLUDE Navigation, Premium Sound System, Satellite Radio, iPod/MP3 Input, Onboard Communications System, Keyless Start, Dual Zone A/C, Lane Keeping Assist, Cross-Traffic Alert, Hands-Free Liftgate Rear Spoiler, Keyless Entry, Privacy Glass, Remote Trunk Release, Child Safety Locks. OPTION PACKAGES FULL EXTENDED LEATHER UPGRADE: windsor leather wrapped instrument panel topper and top door roll, Note that the upper instrument panel will now match seat color choice, SILICON SILVER PREMIUM METALLIC, HEAD-UP DISPLAY, ADAPTIVE DYNAMICS: dynamic mode and Configurable Dynamics, CLICK & GO INTEGRATED BASE UNIT: integrated USB charging ports, HEATED WINDSHIELD: Heated Washer Jets, EBONY MORZINE HEADLINING, CONFIGURABLE AMBIENT INTERIOR LIGHTING: 10 color selection, ACTIVITY KEY, ADAPTIVE SURFACE RESPONSE (ADSR), LOCKABLE COOLED GLOVEBOX, FRONT FOG LIGHTS, CABIN AIR IONIZATION, PREMIUM INTERIOR PROTECTION PACK, WHEEL PROTECTION PACK CHROME LOCKS, CAR CARE PACK, WHEELS: 20 5 SPOKE (STYLE 5068): Diamond turned finish (STD), 18-WAY HEATED & COOLED SPORT SEATS: electric memory front seats w/heated rear seats, electric fore and aft, electric cushion height, electric recline, electric lumbar, electric cushion tilt, electric cushion extension, electric adjustable bolsters and manual headrest (STD), EBONY/LIGHT OYSTER STITCH Horsepower calculations based on trim engine configuration. Please confirm the accuracy of the included equipment by calling us prior to purchase. PLATINUM BRA, WINDOW TINT Heated Leather Seats, Nav System, Moonroof, 18-WAY HEATED & COOLED SPORT SEATS , LIGHT OYSTER, WINDSOR LEATHER SEAT TR. PREMIUM INTERIOR PROTECTION PACK , Back-Up Camera, Premium Sound System, Power Liftgate, All Wheel Drive, Panoramic Roof, LOCKABLE COOLED GLOVEBOX , WHEELS: 20 5 SPOKE GLOSS BLACK (STYL. Polaris White exterior and Light Oyster interior, HSE trim CLICK ME! KEY FEATURES INCLUDE Navigation, Sunroof, Panoramic Roof, All Wheel Drive, Power Liftgate, Back-Up Camera, Premium Sound System, Satellite Radio, iPod/MP3 Input, Onboard Communications System, Keyless Start, Lane Keeping Assist, WiFi Hotspot, Smart Device Integration, Brake Actuated Limited Slip Differential. Rear Spoiler, Remote Trunk Release, Keyless Entry, Privacy Glass, Child Safety Locks. OPTION PACKAGES FULL EXTENDED LEATHER UPGRADE: windsor leather wrapped instrument panel topper and top door roll, Note that the upper instrument panel will now match seat color choice, ALUMINUM WEAVE CARBON FIBER TRIM FINISHER, HEAD-UP DISPLAY, 4-ZONE CLIMATE CONTROL, ADAPTIVE DYNAMICS: dynamic mode and Configurable Dynamics, COLD CLIMATE PACK: Heated Steering Wheel, Heated Windshield, Heated Washer Jets, WHEELS: 20 5 SPOKE GLOSS BLACK (STYLE 5068), CLICK & GO INTEGRATED BASE UNIT: integrated USB charging ports, CONFIGURABLE AMBIENT INTERIOR LIGHTING: 10 color selection, ACTIVITY KEY, ADAPTIVE SURFACE RESPONSE (ADSR), CABIN AIR IONIZATION, LOCKABLE COOLED GLOVEBOX, FRONT FOG LIGHTS, LIGHT OYSTER, WINDSOR LEATHER SEAT TRIM, PREMIUM INTERIOR PROTECTION PACK, POLARIS WHITE, 18-WAY HEATED & COOLED SPORT SEATS: electric memory front seats w/heated rear seats, electric fore and aft, electric cushion height, electric recline, electric lumbar, electric cushion tilt, electric cushion extension Horsepower calculations based on trim engine configuration. Please confirm the accuracy of the included equipment by calling us prior to purchase.